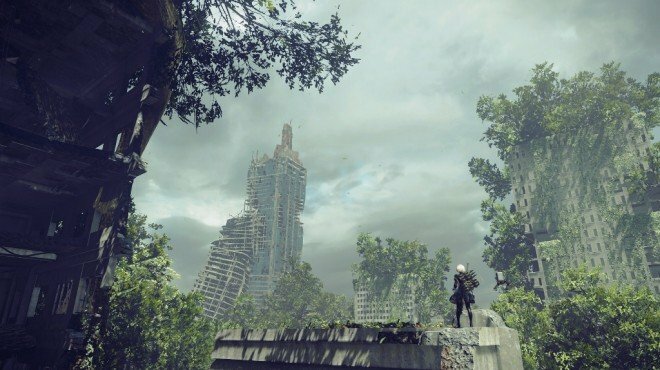 YoRHa: Scanner 21 is one of the information archives in Nier: Automata. A unit from the experimental YoRHa squadron that was utilized during the 14th Machine War, Number 21 possessed a cool and analytical personality that perfectly fit her role as a Scanner. Her first—and perhaps most impressive—achievement was using her analytical abilities to cure a member of a local Resistance group who had been infected by a logic virus. Unfortunately, she fell victim to the same virus shortly thereafter during the assault on the Mt. Ka'ala server. Though she fought valiantly, the virus had evolved into a form that she could no longer remove, which eventually led to her asking an allied unit to end her life. Experimental YoRHa unit Number 21's initial success against the virus has been determined to be valuable information regarding how to construct barriers against machine lifeforms, and should be included in the basic systems of the all subsequent YoRHa squadron members.